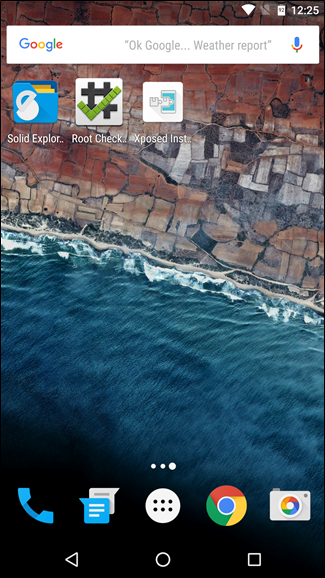 Xposed is one of the most powerful tools a rooted Android user has in their arsenal. It brings things to the table that were previously only available on custom ROMs—like custom reboot menus, theme modifications, and so much more. Of course, all that customization comes at a cost: since it modifies the system partition, using Xposed essentially breaks Android’s update system. But not anymore. 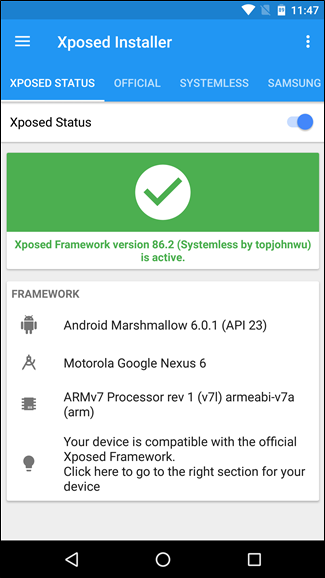 Just like with systemless root methods that no longer modify the system partition, there’s a new, unofficial (and experimental) systemless version of Xposed. 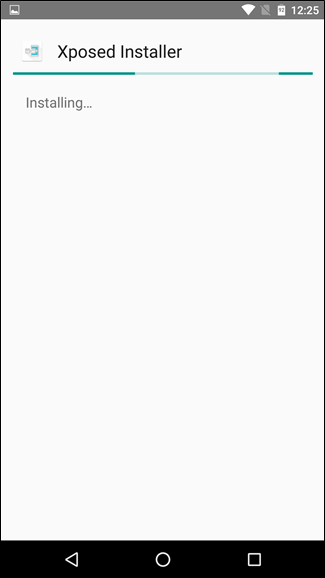 While still in the early stages, it works exceptionally well, and since it uses the Material Design Xposed installer, it also looks great. The biggest benefit here, however, is the ability to enable and disable Xposed on the fly. There’s a simple toggle in the Installer app that allows users to toggle the app instantly—one reboot later and the action takes place. That means if you want to flash an over-the-air (OTA) update, you can disable Xposed and reboot—boom, it’s like it was never there in the first place. And when you want your Xposed modules back, just re-enable it and reboot. It’s amazing. Convinced? Here’s how to give it a go on your device. A systemless-rooted Marshmallow handset with SuperSU 2.76 or higher. This requires you root your phone using the systemless root method, so read up on that if you haven’t done it already. It requires Marshmallow or higher (5.1 on Samsung phones) and the latest version of SuperSU. You must have the stock boot image (boot.img). Most people will already have this, unless you’ve specifically flashed something different. 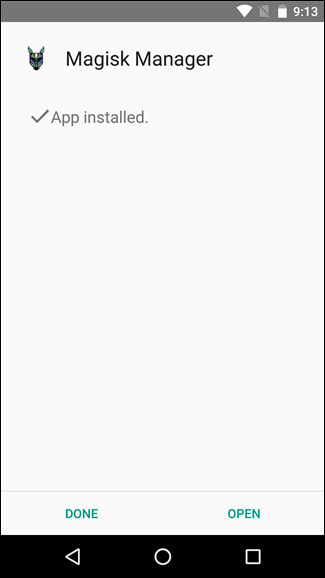 Completely remove old versions of Xposed. If you’re already using Xposed, you’ll need to completely uninstall it with the Xposed Uninstaller. You may also want to flash the stock system image just for completeness, but that’s not absolutely necessary. And that’s pretty much that. Once all those things have been met, you’re ready to get started. First and foremost, we’re going to operate under the assumption that you already have a custom recovery and you’ve already flashed the appropriate version of SuperSU. 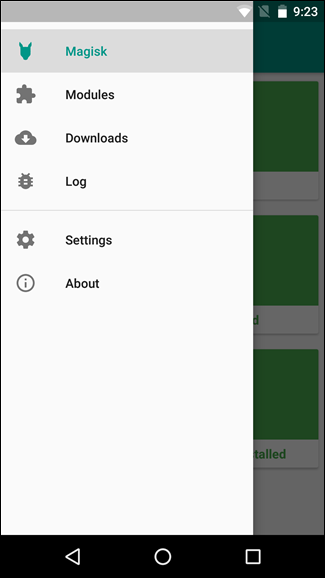 The first thing you’ll want to do is jump over to this XDA thread and grab the latest version of the Material Design Xposed Installer. 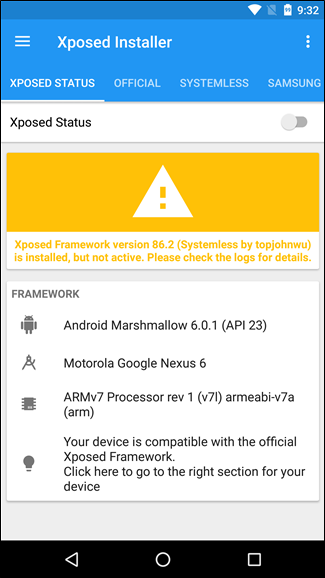 Systemless Xposed requires this—the previous installers will not work. Once you’ve downloaded it, go ahead and install it on your handset. 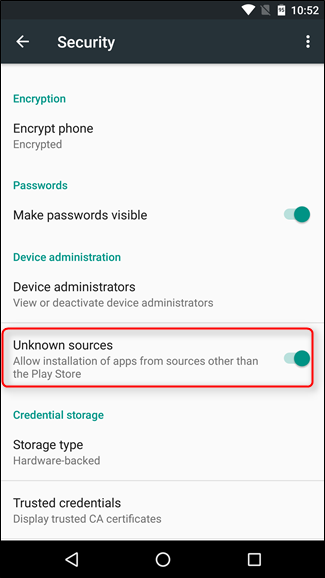 You’ll have to first make sure “Unknown Sources” is enabled in your phone’s Settings > Security menu, otherwise the installation will be blocked. You can either download the APK directly to your phone, transfer it from your PC using something like Dropbox, or even move it onto your phone with a USB cable. 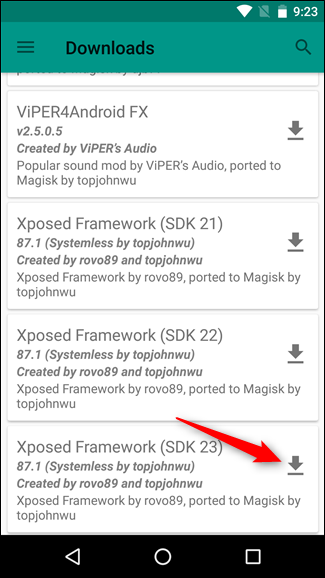 Once that’s done, run the APK file to install the Xposed Installer app. Once you’ve installed the Xposed Installer app, move on to step two. 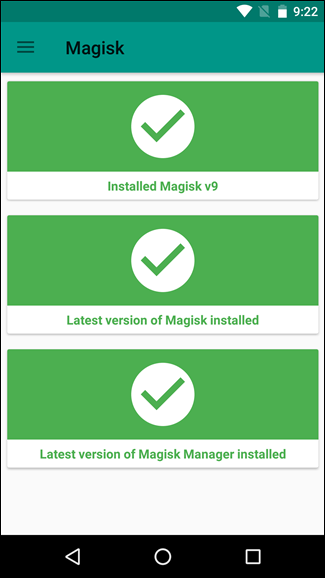 In more recent versions of Systemless Xposed, a new tool called Magisk is required. This is basically a universal front-end for modifying systems that are using systemless root—to put it as simply as possible, it makes everything easier to handle, both for you and the developers. To read more about Magisk and grab the Magisk Manager download, head over to this thread on XDA. 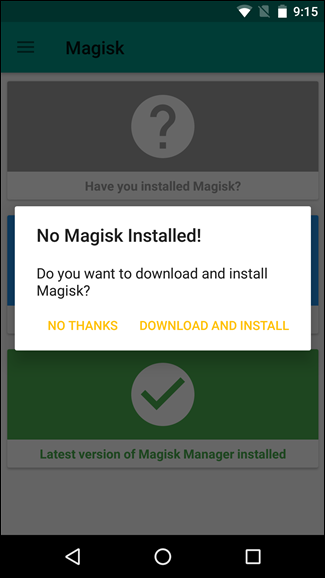 Once you have Magisk Manager downloaded, go ahead and install it using the same method that you used to install the Xposed installer. When it’s finished, you’ll have to reboot the system before it will work—note that it won’t prompt you to reboot, you’ll have to do this one on your own. Once rebooted, go ahead and launch the Magisk Manager. 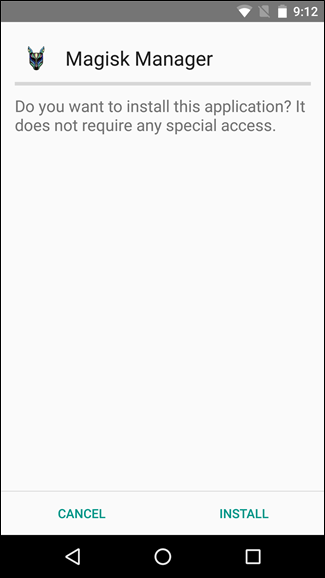 It should request SuperUser permission, then give a warning that Magisk isn’t installed. Tap the “Download and Install” button to get started. 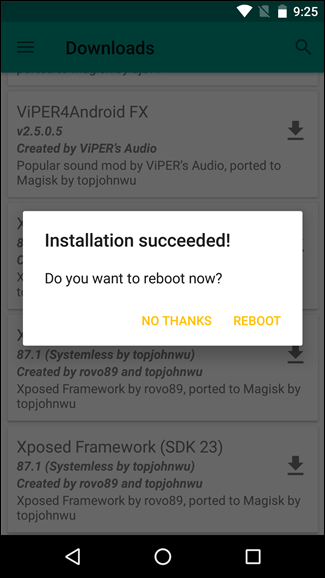 If all goes well, it should automatically install Magisk and prompt you to reboot the system. If your screen doesn’t look like that, something has gone wrong and you’ll want to try the previous steps again, or do some research on what might have failed. 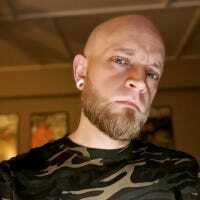 This is where you’ll find a list of downloadable modules for Magisk, including Xposed. Scroll down until you see the latest version, then tap the download arrow on the right. Once again, you’ll need to reboot after the installation is finished. From there, you can open up the Xposed Installer app on your phone and start installing modules, just like the old version of Xposed. Pretty much all of the modules should work just as they always have, and now you have the ability to completely disable it with the tap of a button. Sounds like a win-win to me.